Private and commercial aircraft transport passengers efficiently and speedily— at speeds as fast as 600 miles per hour or more. Without proper supervision and oversight over the operation of civilian aircraft, there would be an extreme potential for catastrophe and the loss of many lives. The Federal Aviation Administration is charged with ensuring the safety of all commercial and private air travel occurring through United States airspace. The FAA regulates every aspect of air travel— including the manufacture of aircraft, maintenance and repair and the certification of pilots, service workers and air traffic controllers. The FAA is burdened not only with the protection of millions of travelers each year but also with the protection of the United States during times of crisis or when a threat to national security is present. Aircraft design, pilot training, flight procedures, maintenance protocols, certifications of aviators and key personnel are all areas which are regulated strictly by the FAA to minimize the dangers that flight may pose to passengers and those on the ground who may be harmed in the event of an aircraft crash. These objectives are accomplished through Federal Aviation Regulations and are broken into several parts. The FAA has strict standards regarding the ability of any aircraft to perform correctly and regulations that govern the requirements and standards of every aircraft in production and operation. Federal aviation regulations exist for aircraft that belong in specific weight classes as well as for helicopters and recreational craft such as hot air balloons. Before the production of any plane, the design must be approved by the FAA, and each aircraft must undergo inspection before being allowed to take flight. The FAA mandates regular aircraft inspection where repairs must be performed by personnel possessing certifications tailored to that specific type of aircraft. Planes needing maintenance or repair must be grounded until it can meet the FAA’s strict standards of airworthiness. FAA inspectors routinely audit flight service stations and commercial airliners to ensure that they regularly comply with these regulations. The purpose of Federal Aviation Regulation is to prevent aviation disasters that can result in the loss of life en masse and life-altering injuries to those who survive. Each person involved in the operation of an aircraft— from its maintenance to its operation — must be trained and certified by FAA regulation. Whether a pilot or a repairman, workers are required to receive training with each type of aircraft that they are going to operate or service and must be certified before being able to work with each specific form of aircraft. Additional personnel must be appropriately trained in protocol and safety measures required in an emergency or crisis. These strict regulations are meant to ensure that only a qualified pilot operates the aircraft and trained maintenance crews do not make critical errors due to inexperience. Whenever an accident occurs, the FAA investigates the matter to determine whether the incident was the result of a failure on part of the pilot, service crew or another aviation worker to follow protocol and safety regulation. Such a failure can result in the responsible party being held liable as well as being charged for his or her violation of federal laws. 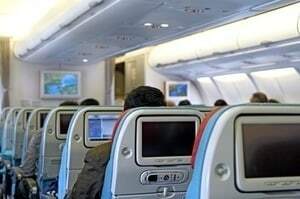 Were you, or a loved one, involved in an air accident and would like to know whether the failure to adhere to federal regulations was to blame? If so, contact Rosenfeld Injury Lawyers LLC today for a free consultation to learn more about your rights and legal options.